The Carbon CareTM certification offered by Enviro-access recognizes organizations’ efforts to responsibly manage and reduce greenhouse gases (GHGs). Through this certification, Enviro-access confirms that the organization is sensitive to the problem of climate change and proactive in its emissions management. Consult the CERTIFIED ORGANIZATION’ DIRECTORY and learn about the rewarded GHG reduction initiatives. All efforts that you put in quantifying, reducing and offsetting your GHG emissions deserve to be recognized. 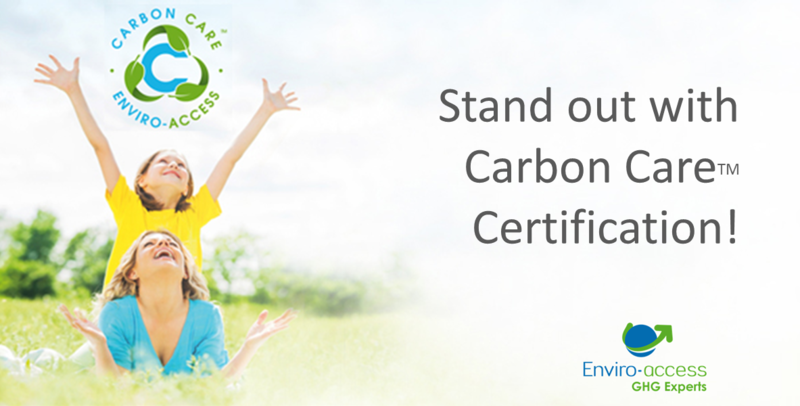 The Carbon Care CertificationTM gives you a credible and transparent tool to proudly convey your responsible management of your GHG emissions and your commitment to act on climate change. The strict process that should be completed to obtain the Enviro-access’ Carbon Care CertificationTM was built in accordance with the highest GHG verification and quantification standards to ensure its credibility. The Carbon Care CertificationTM is accessible to private companies as well as public organizations such as financial and educational institutions. Any organization with a GHG inventory meeting the requirements and with tangible proof of its commitment towards GHG reduction is eligible. Two levels of certification are available: basic and carbon-neutral. Bishop’s University: First University to be awarded Carbon Care(TM)! You’ll find videos of the event on our Youtube account (french only).